It is hard to judge a design from just one picture. But since I do it all the time, here we go. This look alike a joke. Almost an insult to Jeep fans. We know it is based on the 500L platform, and it shows. It has the same terrible proportions. The black trim all over looks horrible. I just don't know what to say. The whole think looks like it was put together by a 12 year old kid. I think this is better than the compass and the patriot though. Vince, there are a few other pics online where it looks less stupid. Looks like it has good visibility, a nice double sunroof, and some interesting design. I don't think it looks less stupid. It look much less like a Jeep. it could be anything from 30 years ago. How is this goofy thing supposed to lumber down the highway at 75mph? I love good retro design. But this Chinese looking thing is the devolution of the automobile. And of Jeep. 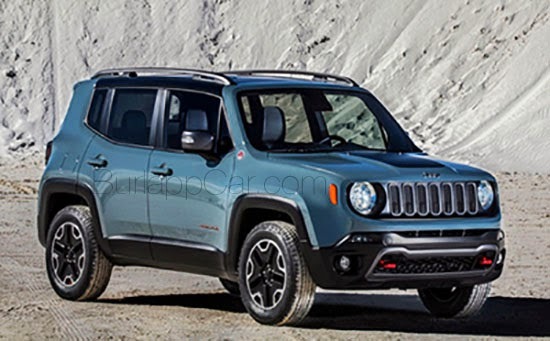 We have definitely reached a point where designing for the US market has become a secondary priority for the automakers - as this "Jeep" shows. This is horrible, I hate everything about it. Unfortunately, from comments I have read on multiple sites, I am in the minority..
Why do all these subcompact vehicles need to be forcefully quirky? Juke, Encore, Cube, Soul, etc.. I will say this: this is bound to be better than the Patriot and Compass.